The 16th stage of the Vuelta a España proved to be difficult for Nairo Quintana, who finished in the 23rd position at three minutes and 44 seconds from the day's winner Michael Woods. The rider dropped two positions in the General Classification and sits in its sixth position. "I've given away more time but the truth is that I didn't have any strength left," the Colombian commented. "I won't lie saying that I'm sick because it is what it is. I feel good, but there wasn't any strength left. The stage was fast from the very beginning, and once we got to the final climb I wasn’t able to put up with the pace. "They eventually got me out of energy and I just could continue pushing, as hard as I could, to end up with (Steven) Kruijswijk, who had also lost time. The good thing is that Alejandro remained with the top guys, even put some time on them, came ahead of (Simon) Yates." 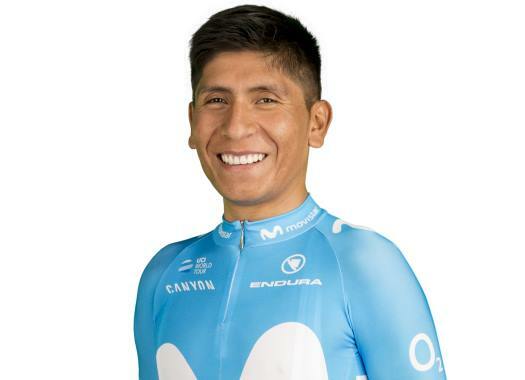 The leadership of Alejandro Valverde in the team is more clear now but Quintana doesn't rule out his chances completely. "I must remain as close to him as possible and play any strategies the team wants me to. The goal was and remains winning the race outright for Movistar, either with Alejandro or myself. "Alejandro was really strong today, and we will support him. This team has always worked like that: it’s up to the race itself to dictate on leadership in case of shared roles, and what matters is having a team-mate win. We’ll continue to work, just as we’ve done during the whole race. Let’s see what happens in the next few days."